Happy Friday, Everyone! 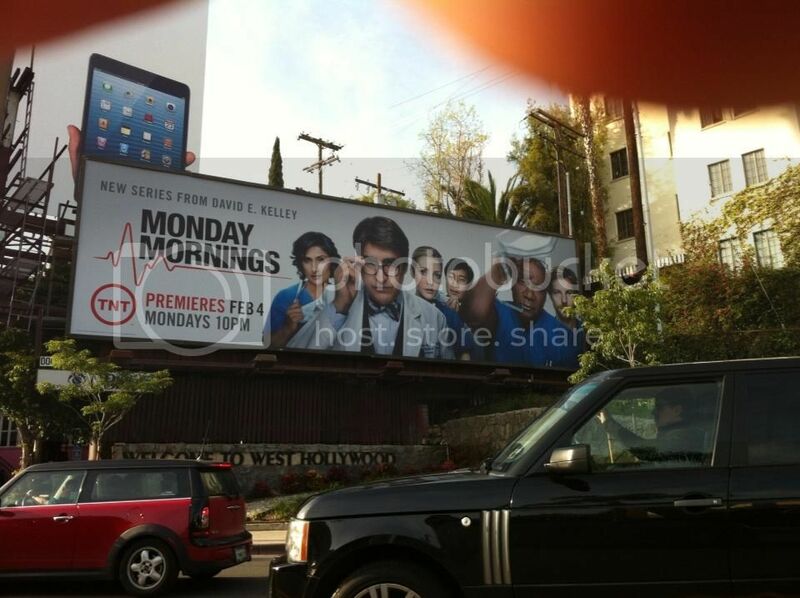 We now have only THREE MORE DAYS until the premiere of Monday Mornings. And this week, the TNT publicity machine kicked things into high gear. Jennifer Finnigan was in Toronto doing a press junket for the Canadian debut on Bravo, which is also Monday, February 4th at 10:00pm, while Jamie and Dr. Sanjay Gupta did various interviews from LA. But before we get to those links, there are a couple of print/online interview to check out. 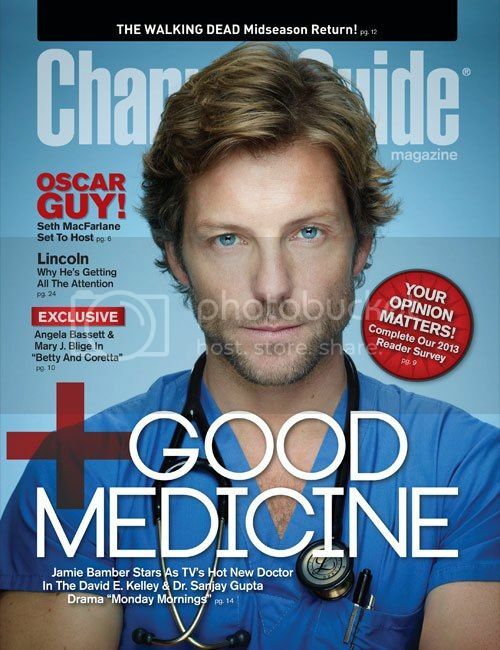 If you can't pick up a copy of Channel Guide, you can read how Jamie Bamber is Surgically Suave in "Monday Mornings" (we could not agree more :) online. New York Press: A New Medical Drama the Doctor Ordered - Jamie also speaks about his BSG family and fans. 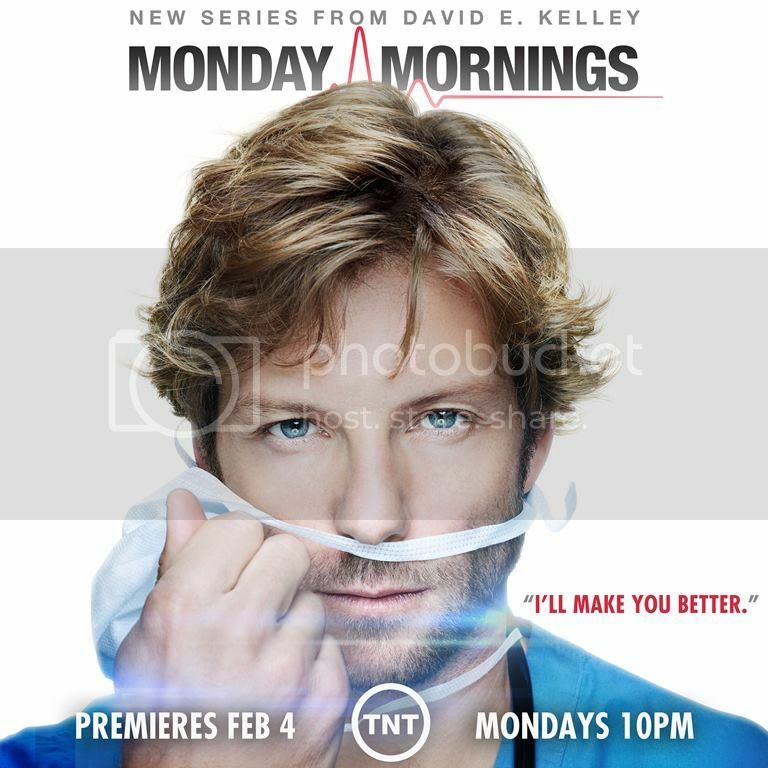 National TV Reviews & News: TNT's Monday Mornings Resuscitates the Hospital Series Genre - A very positive review that does contain some minor spoilers for the series. It also, interestingly, covers cable networks ratings expectations and the series chances for long term success. 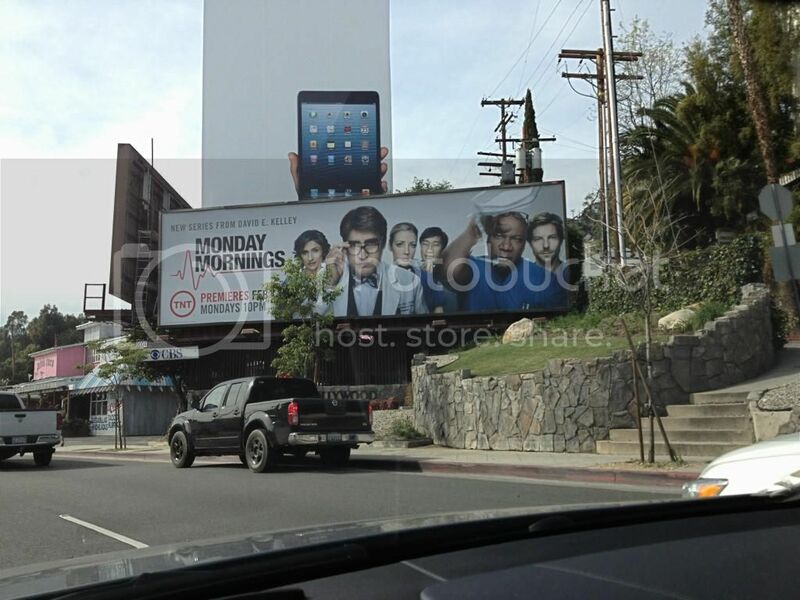 @Jennigan Jennifer Finnigan: "Kinda fun seeing myself and my buddies on a billboard on Sunset Blvd #pardonmewhileibrag"
@ImKerryNorton Kerry Norton: "Not quite as impressive, but here's another one on Sunset Blvd, West Hollywood. #JamieBamber #MondayMornings"
Wow, it's hard to know where to start with all this. Maybe I'll just gaze at that poster for a bit longer...."I'll make you better"...he already has! Thanks for all the links, you're doing a sterling job of keeping tabs on the mighty TNT publicity machine! He is just so gorgeous in these shots. I'm really looking forward to the premiere. Counting the seconds. You ladies are awesome keep us all up to date like this. I know it must be a lot of work. That interview when the guy calls him Tyler was funny. Jamie and Sanjay just indulge in a little look at each other and a bit of a smile. I also love how much the two of them end up mirroring each other so often. Not sure why Jamie would be phased by sitting next to a Sexiest Man, when his Sexiest Man shot was full page of nothing but him and a towel. It seemed to make Dr Gupta blush a little though, which I suppose was his purpose. And good lord, those pants in the clips. Oh, good lord. Hahaha...love how the one woman in the mix there was practically begging Jamie to come to her studio. I hear you, sister! Hey, we got a shout out in the NY Press article!